Feel the sunshine against your face, drink in the wild air, and let the breeze take you away to a place you’ve always longed to be! Nature has a way of waking up our senses while opening our minds, and paddling is a phenomenal way to take in the sights and sounds of our gorgeous refuge waters. Kayaking and Stand Up Paddle Boarding (SUP’s) are some of the fastest growing water sports in the country and we can provide you with all that you need for a memorable day on the water! Maybe you have pictured yourself paddling along our sparkling waterways but were afraid to give it a try? No worries, because we can help! Highly qualified instructors and paddle guides are at your disposal! 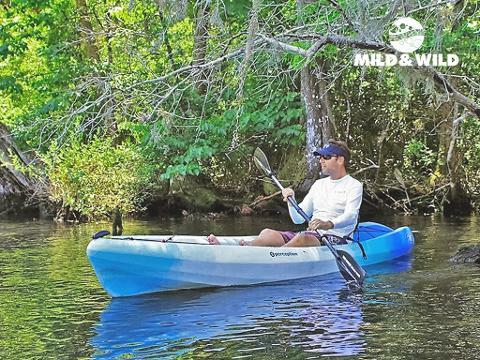 Search for wildlife or just take in your surroundings by paddling at your own pace. Either way, exploring our gorgeous spring-fed wildlife refuge on a kayak or a paddle board is a super way to open your eyes to all the natural wonders that Crystal River has to offer! Half day rental pick up times are 8:00am or 12:00pm. When booking a kayak for a full day, rental time can be no later than 8:00am. Kayaks must be back by 4:00pm at the latest. Our kayaks depart from the Public Park at Hunters Springs where there is a small parking fee. The parking meter takes debit or credit cards, and rates range from $1-5, depending on how long you intend to stay. All fees collected go back to upkeep and improvements at our local parks. ATTENTION....as of 2015, PADDLECRAFT WILL NOT BE ALLOWED ON THE INTERIOR OF THREE SISTERS SPRINGS FROM NOV 15 THROUGH MARCH.THE RULES AT THREE SISTERS CAN CHANGE AT ANYTIME AND WITHOUT NOTICE BECAUSE THEY ARE REFUGE WATERS MANAGED BY US FISH & WILDLIFE. IF YOU ARE HOPING TO ‘SNORKEL WITH MANATEE’ WE HIGHLY ENCOURAGE YOU TO TAKE AN ENDANGERED ENCOUNTER OR A MANATEE PADDLE TOUR. SNORKELERS ARE REQUIRED TO WATCH A SPECIALIZED INSTRUCTIONAL VIDEO FROM US FISH & WILDLIFE IN ORDER TO LEGALLY SWIM WITH THE MANATEES. 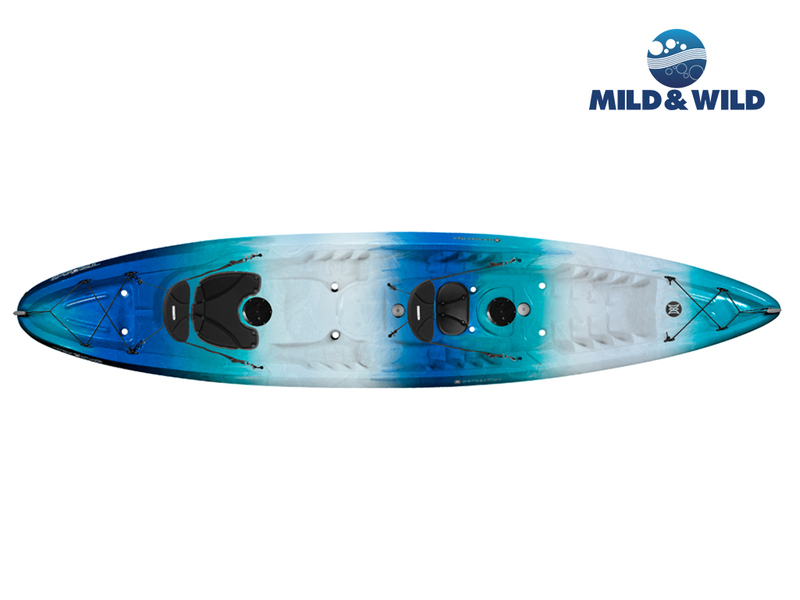 Stand up paddle boards and kayaks can be a great adventure if you are prepared with everything you may need! We recommend, first off, SUNSCREEN and WATER! The sun can be strong and it is easy to get burned or dehydrated out in the refuge. Layers of clothing are great for those of you starting early in the morning or paddling during the colder weather. Start off with a couple of light layers, and remove them if you start to get very warm. Fabric that is quick to dry is also a great benefit. Sunglasses, hat, water shoes, insect spray, waterproof cameras and/or case, even a small fabric (soft-shell) cooler with lunch. It is up to you! Your car will be parked at the starting and ending point so anything of value that you don’t want to get wet should be left in your vehicle. 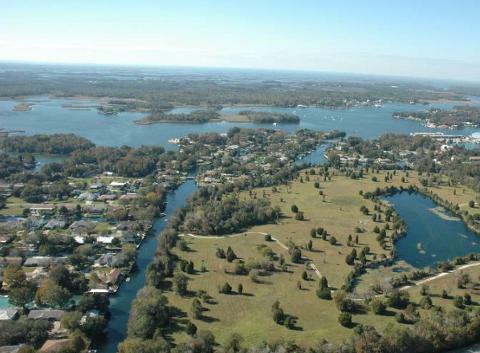 When you rent with River Ventures, you start at our full-service tour facility in Crystal River. This is a Wildlife Refuge, so you must first watch a short video about rules and behavior. After the video, you will drive YOUR VEHICLE a short distance down to the launch area. This is a private access and helps us to avoid the crowds at the public launch; however, there is a $5 cash fee for parking at the site. You will be given a map of the Bay and sent on your way!! Your vehicle is there waiting for you when you return so you can go about your day at your own pace without waiting for a pick-up! If you are hoping to see manatee, keep in mind that the cold weather is what brings manatee to this area and they can be very tough to spot from a board in the warmer seasons. If you are hoping to ‘snorkel with manatee’ we highly recommend one of our guided manatee tours. What can we expect to see while paddling? Like with all wildlife, it varies day to day and season to season. Of course in the colder months we are world famous for our manatee, but there is so much more out there to enjoy! 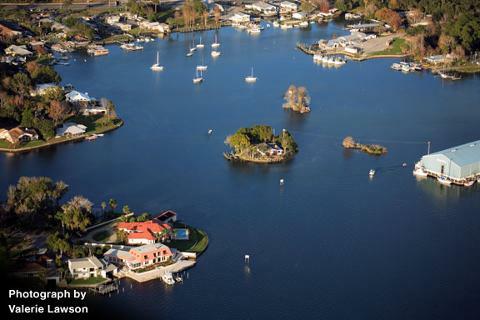 King’s Bay is one of the richest estuaries left on the Gulf of Mexico, meaning that fish and birds from all over the world come here to winter and reproduce. Many threatened and endangered species call this home at one point or another during the year. Bald eagles, osprey, brown pelican, wood storks, cranes, egret, heron...these are just a sample of the birds that depend on the Bay for survival. You will be amazed at the variety of fish....both fresh and salt, not to mention dolphin, otter and of course, manatee sightings! Don’t forget humans! As a residential area prior to being designated a Wildlife Refuge, the area is surrounded by beautiful homes and lots of human animals! On the weekends and Holidays these waterways will be very crowded with humans. These can be VERY interesting as well! How Long is the Paddle to Three Sisters Spring? Many people that visit this area are unaware that dozens of springs make up this Bay because three sisters just happens to be so very famous! It is incredibly beautiful and because no motorized vessels are allowed in three sisters the only way to access it typically is to paddle or snorkel into the springs. From where we put in it takes the average person 25 to 30 minutes of paddling to make it there (for beginners, this could be much longer). We will give you a map and point it out so you will have little problem locating it. Keep in mind a few things about three sister’s spring; it can become incredibly crowded. It is unique and people come from all over the world to visit. Get out there EARLY to have the best chance at a quiet experience. Also, Three Sisters is managed as Refuge waters by the US Fish and Wildlife. This means they have the right to enforce rules or even close the springs when they see fit. In 2015, for instance, USFW closed the springs to paddlers in Feb and March due to the manatee population. When there are many manatee there they will often close part or all of the springs to paddlers and swimmers for the animal’s protection. 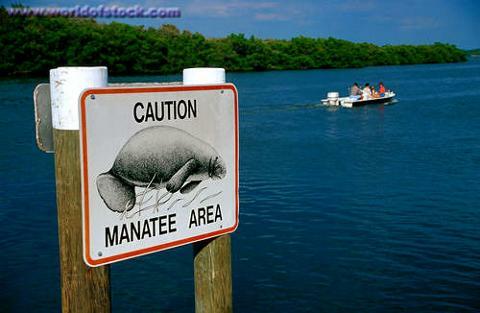 Manatee are not always at Three Sisters, keep this in mind as well. Manatee enjoy that area during cold weather and high tides, so feel free to call for conditions if you are hoping to see manatee. ATTENTION....as of 2015, PADDLECRAFT WILL NOT BE ALLOWED ON THE INTERIOR OF THREE SISTERS SPRINGS FROM NOV 15 THROUGH MARCH.THE RULES AT THREE SISTERS CAN CHANGE AT ANYTIME AND WITHOUT NOTICE BECAUSE THEY ARE REFUGE WATERS MANAGED BY US FISH & WILDLIFE. IF YOU ARE HOPING TO ‘SNORKEL WITH MANATEE’ WE HIGHLY ENCOURAGE YOU TO TAKE AN ENDANGERED ENCOUNTER OR ONE OF OUR MANY OTHER SNORKEL ADVENTURES. What if I’ve never paddled before? We are happy to help! We have certified instructors on staff to give pointers. If you would like a more thorough training session this can be arranged as well, just call and we will set it up! Most people pick it up very quickly. Paddling is quite easy with a little patience and determination; you will be an expert in no time! If you feel uneasy going it alone, we can arrange a guide and customize a package for your group. Many people still paddle if there is a bit of rain; however, during dangerous conditions we will certainly refund your payment. We do not send paddle craft out when lightning is in the area, and we highly discourage visitors from paddling when high winds are an issue. Weather conditions can be hard to predict and change quickly.....we always do our best to work with people when weather is a concern. Can we get off our Kayaks and Swim? There are a few areas out there where you can pull over and take a dip. 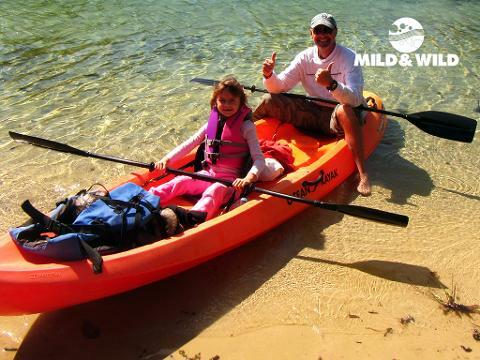 For the most part, getting in and out of your kayak in open water can be very difficult to manage, and we discourage it. 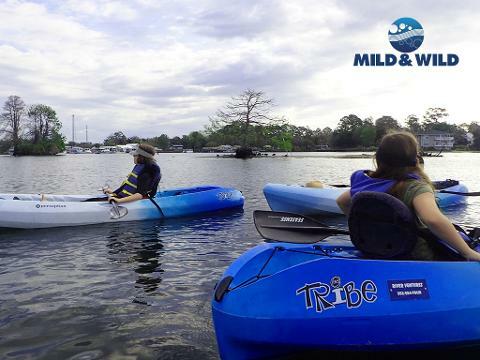 The Bay is surrounded by Refuge lands and Private property, which means that you can not push your kayak on land or tie up to plant material without breaking a Federal law. If you are hoping to ‘ SWIM WITH MANATEE’ this involves special instruction, a video that is Federally required (different from the kayak video) and uninformed people desperate to get in the water with an animal will almost always scare the manatee away and ruin the experience for everyone around them. As a responsible operator with respect for the privileges we have, we HIGHLY encourage you to take a manatee snorkel tour (Endangered Encounter) if you want to get in the water near an animal. We insist that our paddlers be considerate of not only the manatee, but also the people around them. Will we see manatee from our Kayak? We can never guarantee that you will see any manatee from your kayak or paddleboard. In the cold weather, there is a good chance due to the high population. In the summer, the chances of seeing these endangered animals while paddling is slim. 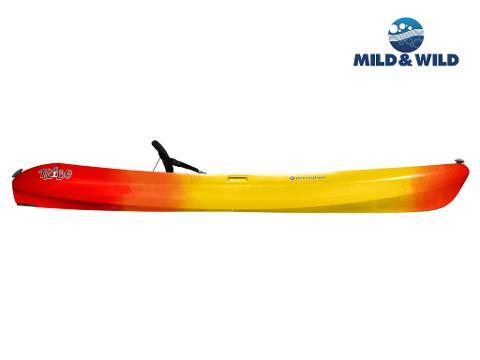 You may see one in 5 minutes, or you could paddle all day without finding any at all. This is a 600 acre wildlife refuge, and that is a lot of ground to cover! 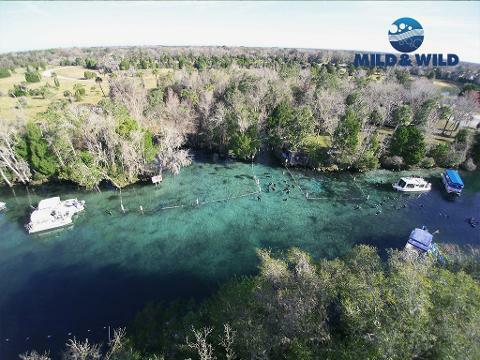 Best bet if you are hoping to see manatee, especially during warm periods, is to go on a tour designed to find manatee with a highly qualified Captain who knows what to look for! River Ventures, of course, can arrange this for you.